Do you want to combine bush and beach? At Thanda Villa iZulu that’s possible thanks to its location in Thanda Private Game Reserve, an exclusive wildlife haven found nestled between Hluhluwe-iMfolozi Park and iSimangaliso Wetland Park in KwaZulu-Natal. This African villa exceeds expectations thanks to its luxurious amenities, magnificent facilities, and possible encounters with the Big 5. Thanda Private Game Reserve is spread across 14,000ha of land in the northern reaches of the province and ensures a wonderfully private safari without the crowds often seen in other destinations. Villa iZulu is surrounded by manicured lawns that are fringed with dense bush and fencing to ensure that guests never have to feel concerned when lounging by the pool or relaxing on the grounds. Villa iZulu can accommodate 10 guests in five suites, all of which have a private viewing deck, Jacuzzi overlooking a waterhole, and en-suite bathroom. Onsite amenities include a wine cellar, games room, fitness facilities, helicopter landing pad, and private chef, host, and waiter. Along with the Big 5, guests may also spot cheetah, hyena, wild dog and warthog. 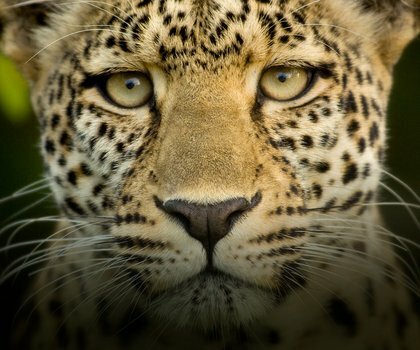 You’ll find no shortage of lush bushveld and enthralling wildlife at Leopard Mountain Game Lodge, within the fences of the Zululand Rhino Reserve in KwaZulu-Natal. Viewing endangered animal species is the norm at Leopard Mountain, and the views from the clifftop accommodation are tough to beat. Favourably positioned on a cliff-face overlooking the Maputaland bushveld, &Beyond Phinda Rock Lodge is the ideal place to experience the best of the region’s safari and seaside experiences. Go in search of cheetah and the endangered black rhino on a game drive or walk, or swim with turtles and whale sharks on a scuba safari. Observe the wildlife of the African bush from the comfort of your suite’s private plunge pool or deck at &Beyond Phinda Vlei Lodge. Each of the six Thatched Suites come with en suite bathrooms and dressing rooms, providing intimate game-viewing without sacrificing comfort. Game drives, rhino-tracking walks, and day trips to the Maputaland are also available. Come for the view, stay for everything else! &Beyond’s Phinda Mountain Lodge is a rare gem among safari lodges, offering an unmatched game-drive experience while simultaneously treating its guests to some of the most captivating vistas of the African wild. Intimate accommodation, delicious food, and an endless panoramic view. What more could one ask for? 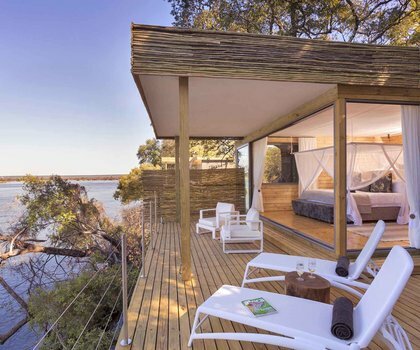 The &Beyond Phinda Forest Lodge consists of 16 Suites – sleeping a maximum of 32 guests – that are innovatively designed to protect the rare sand forest environment on which it stands. Private viewing decks overlooking the grasslands where the Big 5 roam ensure guests have exclusive safari experience. Ideal for a family or group of friends, &Beyond Phinda Homestead is a sole-use safari villa with plenty to say for itself. The experience offered is a highly personal one, with dedicated staff for every activity and a customisable daily schedule. 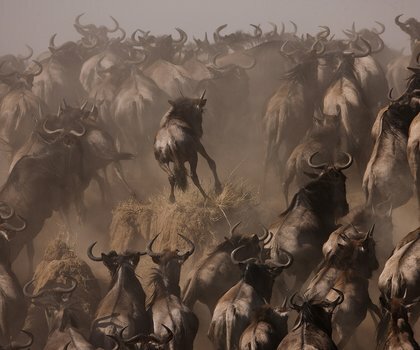 Its location within a private game reserve guarantees a safari both exciting and intimate.